Commando Karan and his team of three officers are on a mission to bring back Vicky Chadda and Indian black money from Malaysia. One line Review: With high octane action, this patriotic drama tries to sprinkle elements of comedy, emotions and predictable twists at regular intervals. 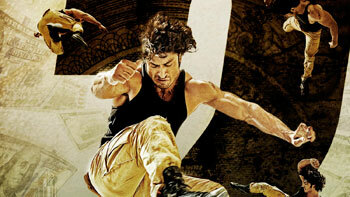 Positive Points: For the action lovers, there is Vidyut Jamwal performing some intense stunts and hand to hand combat. Negative Points: The formulaic narration of the story, predictability and no strong plot. Here comes the baddie, Rana aka Freddy Daruwala, the new member of Race 3!